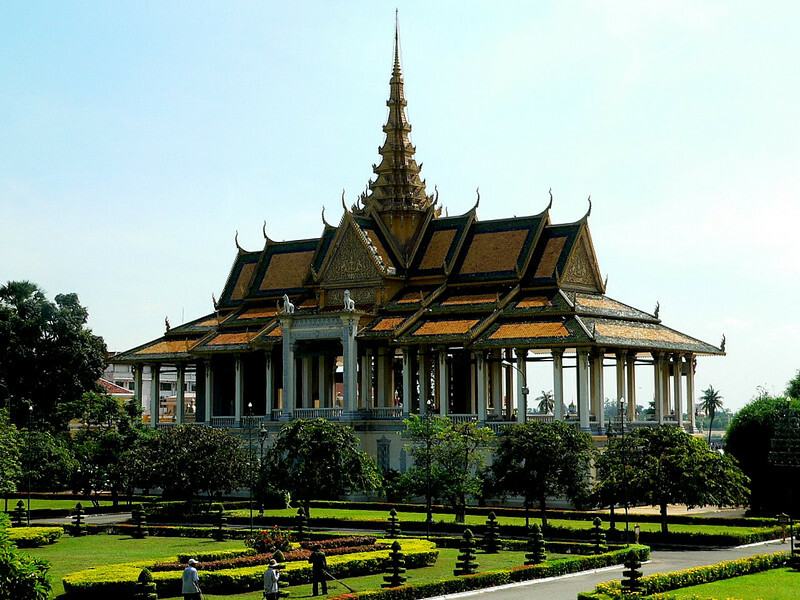 Within the grounds of the Royal Palace, Phnom Penh. This is an "open sided" dining room, where the King would host official functions. Guests would enjoy cool breezes throughout the function.